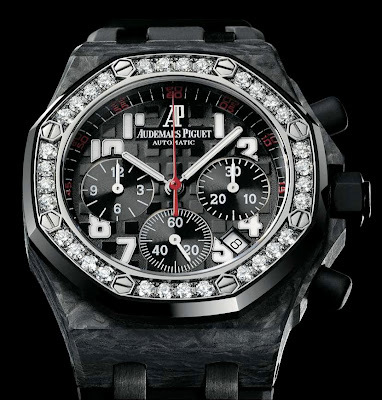 Audemars Piguet introduced the Ladies' Royal Oak Offshore Chronograph at SIHH 2009.The 37mm forged carbon case features a diamond-set ceramic bezel. 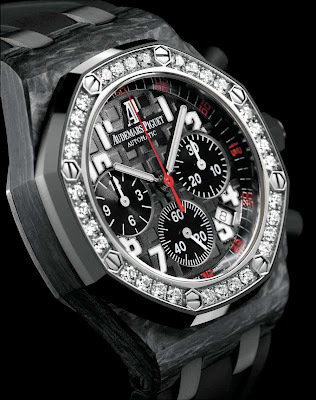 Red touches are used on the black Mega Tapestry" dial motif, to enhance the sportiness of this ladies' timepiece. 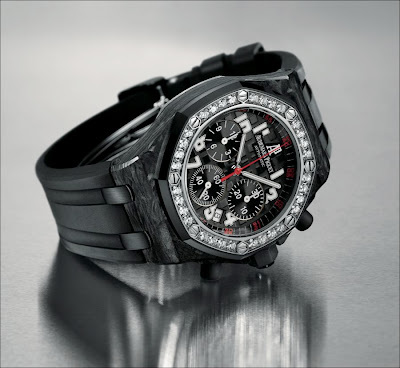 The caseback is made of blackened steel and engraved with the Royal Oak Offshore logo. 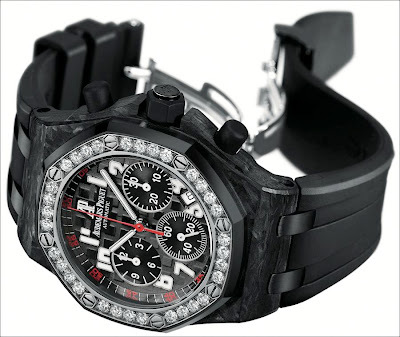 The strap is rubber with a folding clasp. I just laced my lady out with one of these for each arm, STEP YOUR GAME UP! More photos after the jump off.